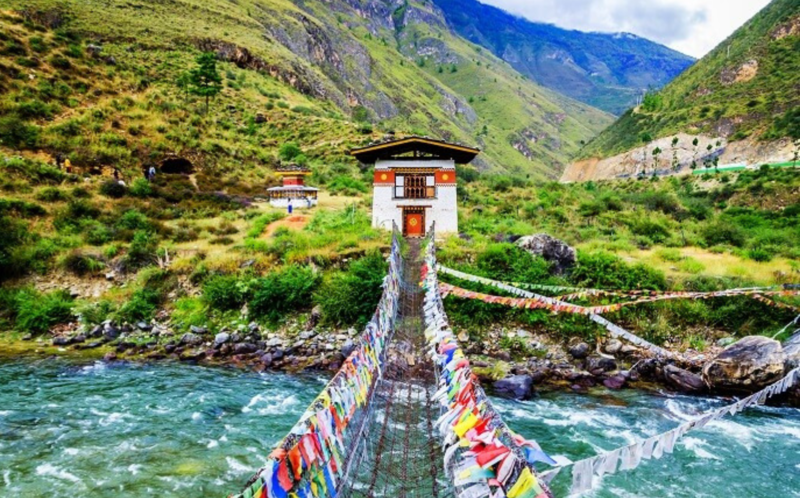 Why Bhutan Is The Happiest Country In The World? Do you want to go for a spiritual quest amidst picturesque hills and vast green landscapes? If you do, then there is arguably no other place in the world as good as Bhutan. Touted as the happiest country in the world, Bhutan is a nation rife with beauty and peace. 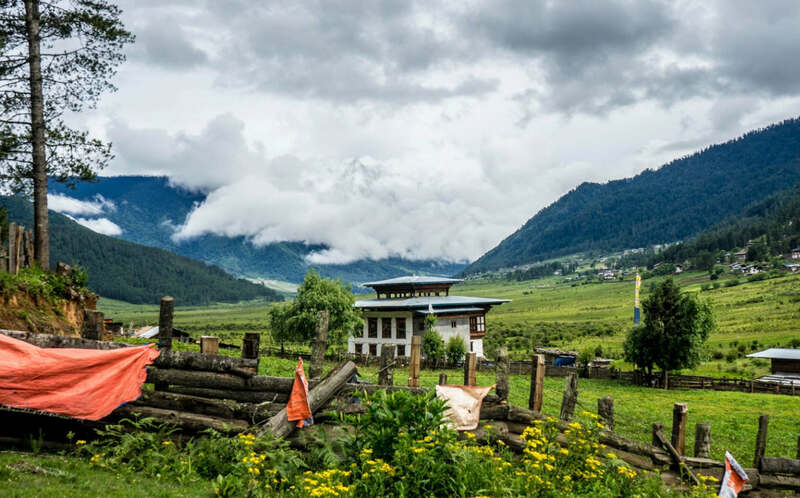 One look at the place and you will surely want to know more about Bhutan and its serenity. It is a landlocked country that shares its border with West Bengal. 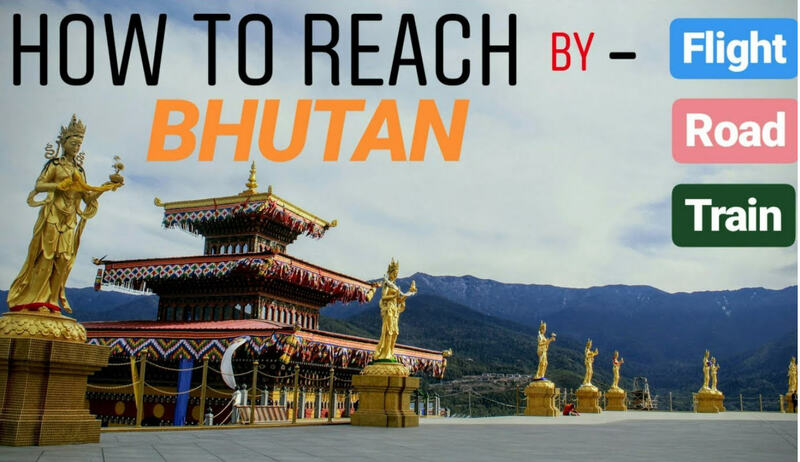 Bhutan was not much in the radar as a tourist spot but has quickly gained momentum as a spiritual haven which has given a significant boost to Bhutan tourism. 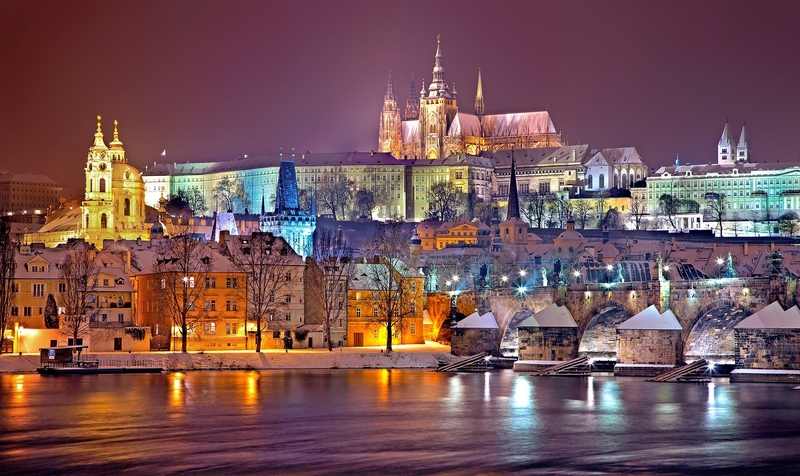 This is a country best known for its amazing spiritual buildings, rich culture, and spectacular peaks and valleys. What especially stands out is the warmth of the local Bhutan population; if someone can be credited for Bhutan’s world-topping happiness index, it is the people. So what are you waiting for? Read on to find out all you can about Bhutan. 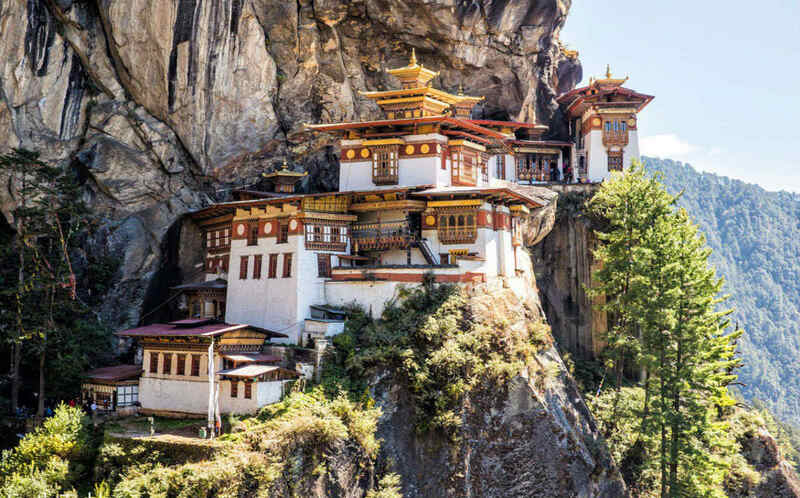 Bhutan is one of the most accessible countries to get into, more so if you’re an Indian. Indian nationals do not need a Bhutan visa because of an agreement between the two countries. Even a passport is not required if you have a valid Indian-government-issued ID proof. The best way to enter is via roadways through the state of West Bengal. Flights from Druk Air are also available from Mumbai, Kolkata, and Delhi, but they are available only twice a week. Flights are up to Paro, which is the only international Bhutan airport. The Bhutanese Ngultrum is the currency in Bhutan. 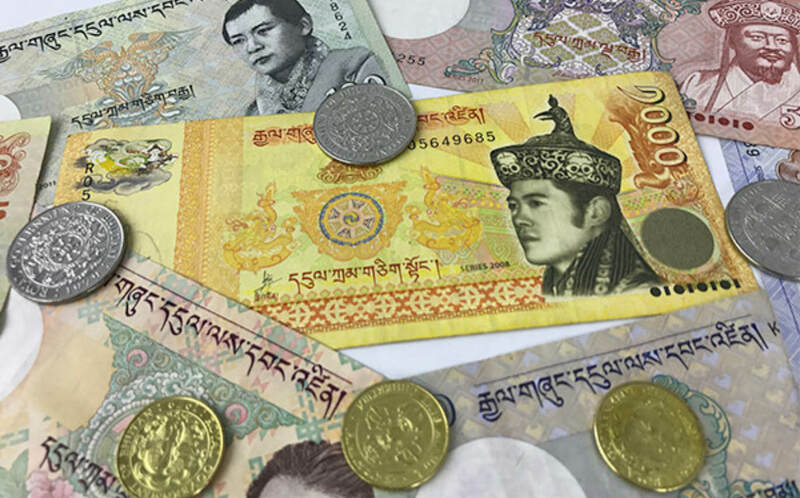 Bhutan also accepts the Indian rupee, as its value is equivalent to the ngultrum. One of the most promising aspects about Bhutan is that it is an incredibly cheap country to travel to. Indians do not have to pay the daily fee of USD 200 applicable for foreigners. 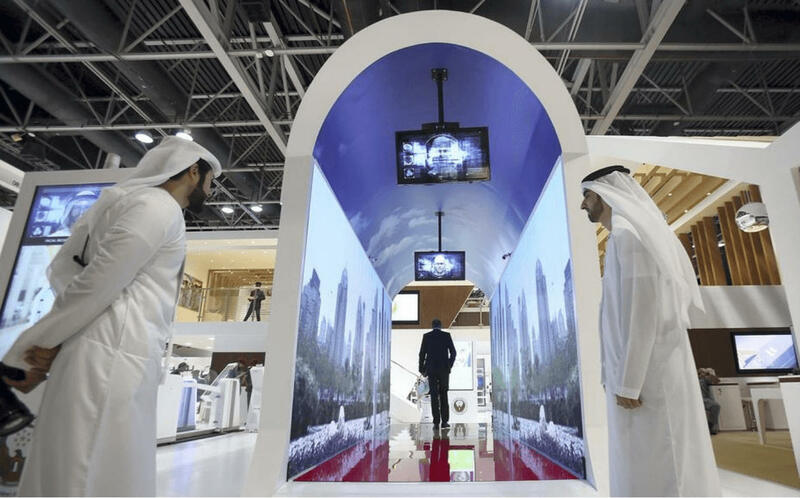 And usual expenses like a hotel stay, food, and local travel is quite economical. About Rs. 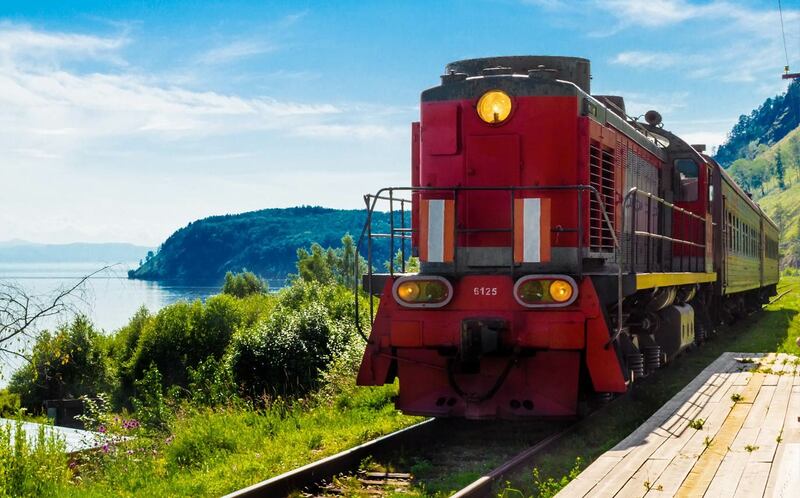 20,000 is quite enough if you’re looking for a moderately luxurious three-day trip. Bhutan is one of those rare countries where every season offers something new and unique to see and do. Having said that, winter is still the ideal time to visit Bhutan, especially the months of October and November, when Bhutan weather is at its most pleasant. Even though the most popular time is later in the year, tourists sometimes prefer to visit even in the spring or summer. The month of November is also when you can spot the famed black-necked cranes in the Phobjikha Valley. Bhutan has some amazing places that you can visit to calm your mind. The most popular of these places are the Dzongs, spiritual buildings that have a marvellously unique architecture. These Dzongs also offer a lot of information, and you can learn quite a bit about Bhutan. The cities of Paro, Thimphu, and Punakha are the best places to include in your itinerary. 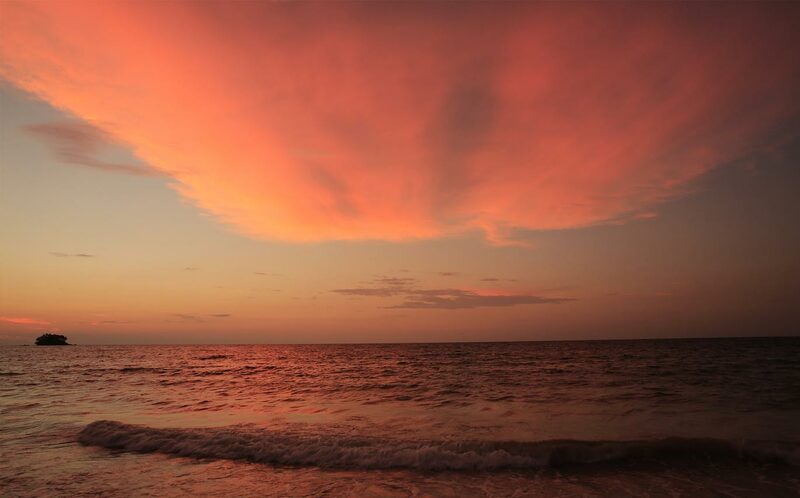 In these cities, you’re likely to find many excellent tourist attractions that are sure to take your breath away. The Rinpung Dzong is a beautiful Buddhist monastery and fortress in Paro. This 16th-century building houses many shrines and chapels within its walls. For a day of peace and spiritual realization, visit the serene Rinpung Dzong, which is also called as Fortress on a heap of Jewels. If you want to trek through a spectacular landscape, plan a trip to the Tiger’s Nest Monastery in Paro. The trek is moderately easy, but you will be well rewarded when you reach the top. The monastery is built precariously close to the edge of the cliff, which is a sight to behold! Also, the monastery offers a scintillating view of the Paro Valley. Most Bhutan tour packages include a trip to the monastery. If it doesn’t, you can request your agent to include it. To see the second largest Dzong in Bhutan, make sure you visit the Punakha Dzong, which is about a three-hour drive from Thimphu. The Punakha Dzong is also the second oldest Dzong in Bhutan, and one of the most majestic buildings in the country. 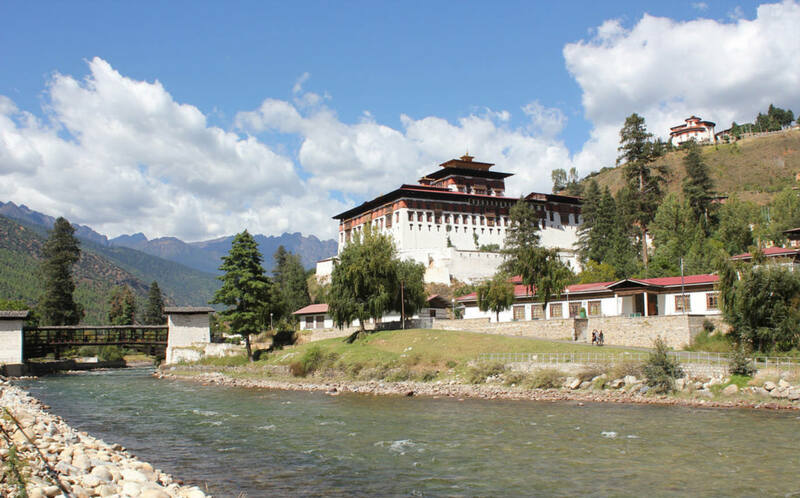 The Punakha Dzong is located between the phonetically similar sounding Pho Chu and Mo Chu river. You can learn a lot about Bhutan and its culture and traditions at the Punakha Dzong. If you want to see the famed black-necked cranes that migrate to Phobjikha, then visit the Phobjikha Valley in or around November. 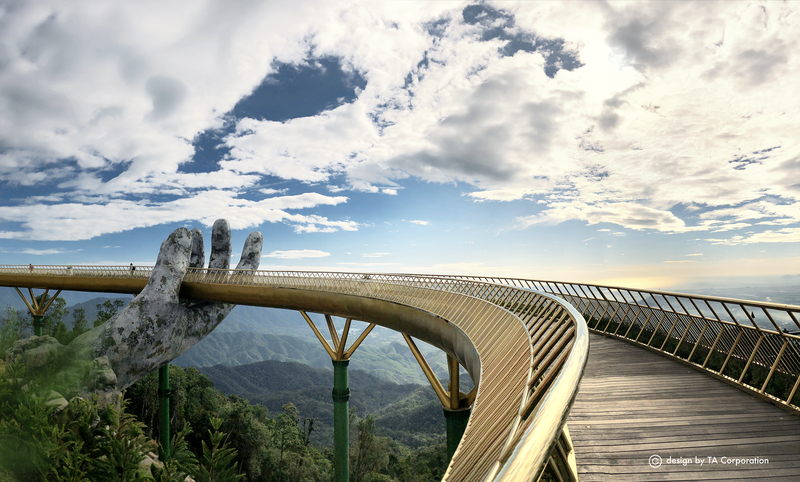 The valley offers an enthralling view of the landscape that is surrounded by lush mountains. A trip to Phobjikha usually takes a day of hiking that will take you through thick forests and passes. 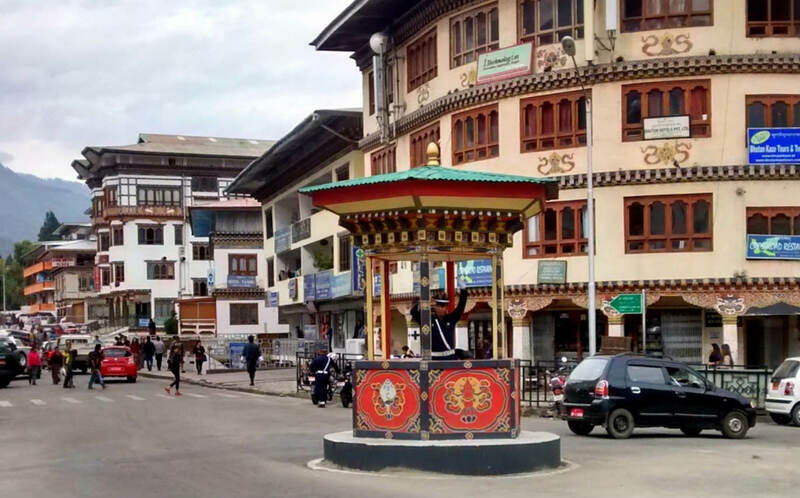 For a round of shopping, explore the lanes and bylanes of Main Street in Paro. The Main street offers a lot of shops where you can buy trinkets, religious artifacts, and Bhutan souvenirs. Also, you can try some delicious local food on the streets of Paro. When you head over to Thimphu, the capital of Bhutan, the towering Buddha Dordenma Statue will be unmistakable. 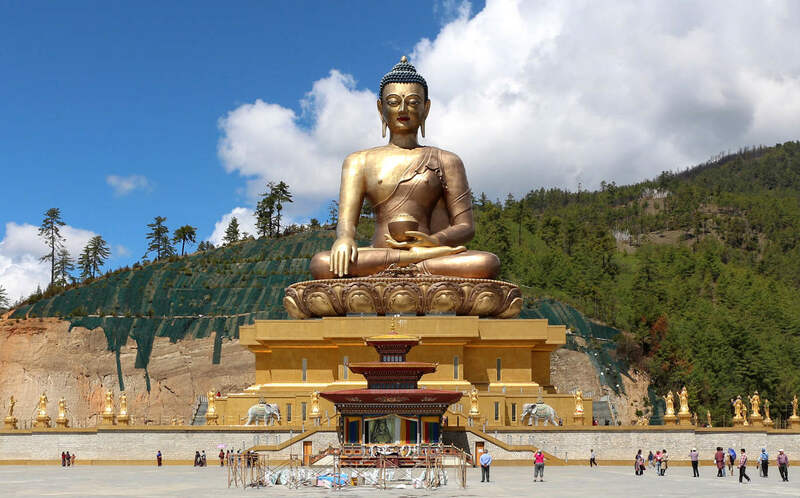 Erected over the foot of the Thimphu hills, the iconic, 169 feet tall Buddha statue is a gold and bronze marvel. The statue is one of the most popular tourist attractions in Bhutan and should not be missed. So there we have it. A comprehensive guide about Bhutan that you can use to plan your trip as per your convenience. Bhutan is a place that is exceptionally calm and soothing. So if you’re looking for a place to get away from the hustle and bustle of daily life, then Bhutan is the ideal destination.